Wow, that's a great street capture! 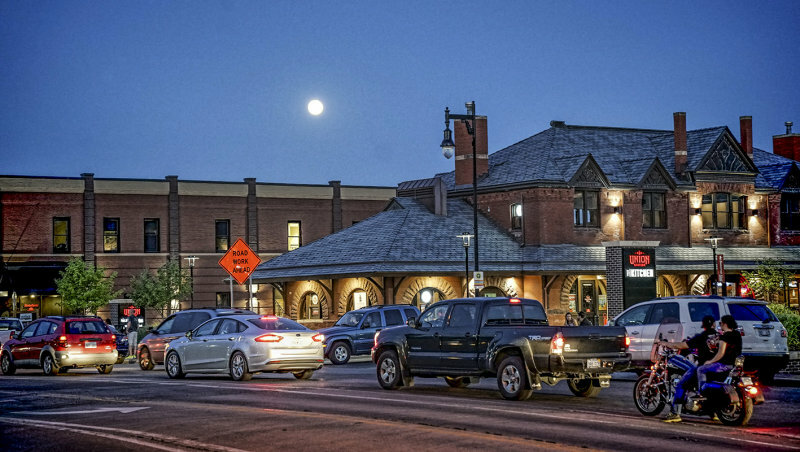 Such a cool street scene including the moon - nicely done, Neil! Lots of cars to see cars- love it. Super low light image of this interesting street scene. Excellent photography. An interesting view in the evening light. Bad traffic, great image! So nice and sharp with details. great shot and nice lighting.V. Excellent shot of this busy street under a full moon Neil. Superb street capture, Neil... Well done..